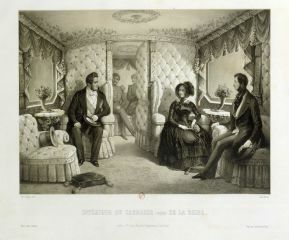 Revolution of 1830 (29 July). 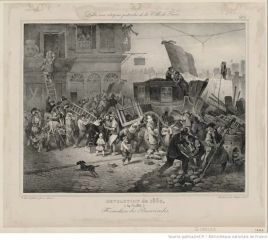 Building barricades. 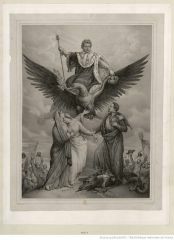 Napoléon III stands on a bleeding dragon and Napoléon I, descending from the heavens on the back of an eagle, crowns him as the crowds and the army cheer. 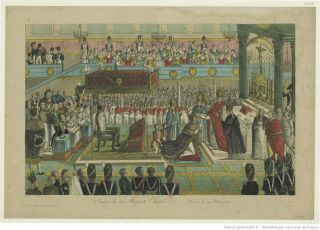 France experienced a period of constitutional monarchy under the reigns of Louis XVIII (1815–25), Charles X (1825–10) and Louis-Philippe (1830–48). After Charles X abdicated, as a result of the three-day riot of the Parisian people, Louis Philippe faced a wave of public discontent. His abdication (February 1848) is followed by the brief return of the Republic, which establishes universal suffrage for men and restores people’s rights; thus, slavery is abolished. 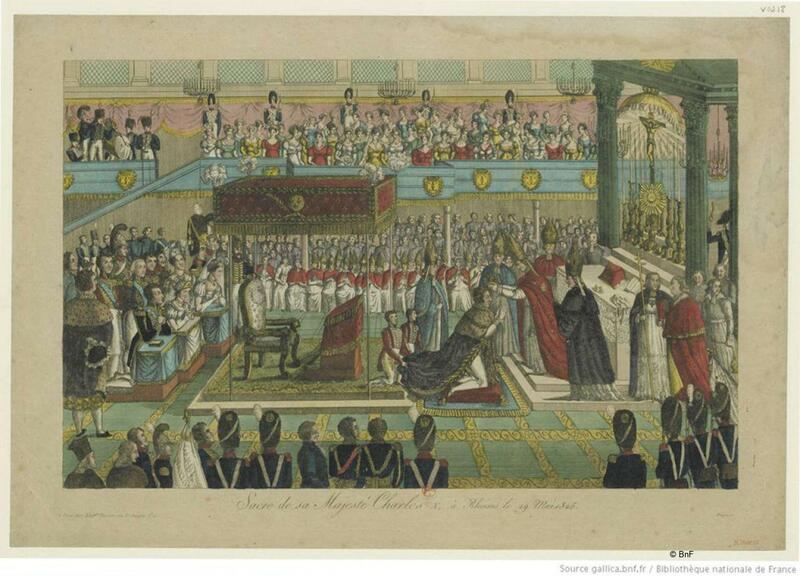 At the end of 1848, Louis Napoleon Bonaparte is elected President of the Second Republic. 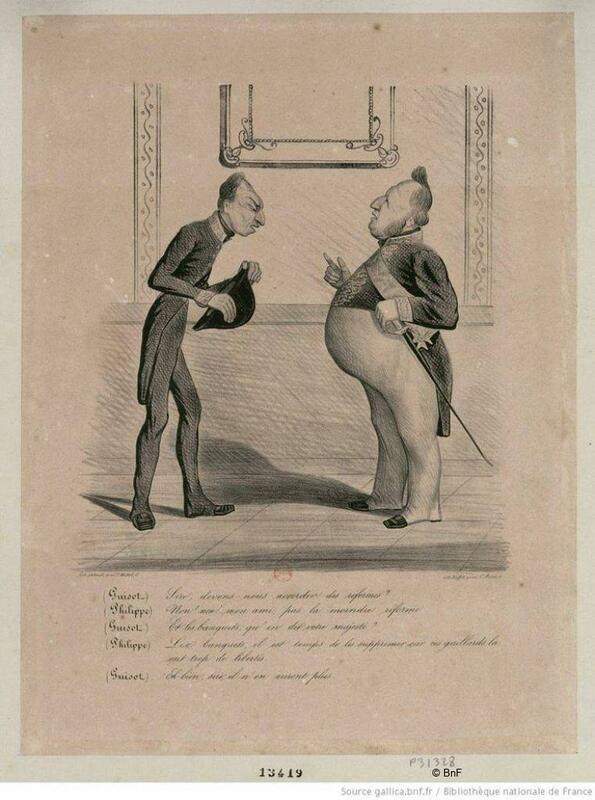 After his coup d’Etat (1851), the Second Empire (1852–70) then comes to an end due to France’s defeat in the Franco-Prussian War. Leon Gambetta (1838–82) proclaims the Republic.